Amplifying the vibe with her daring dance moves and full force hoop dance, Faeryn Rose knows how to weave a performance experience like none other. A mastermind of movement, this fiery fairy’s dance is utterly hypnotic as she lets the emotion, tone and rhythm of the music wind through her every inch. 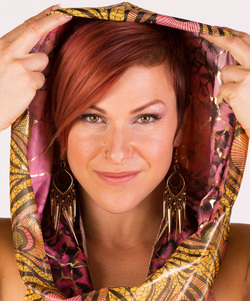 While working in symbiotic partnership with performing music artists, she elevates the energy of the dance floor, creating a multi-faceted artistic presentation that enhances the experience of all those present. A holistic healer by trade, Faeryn utilizes her performance as a plaftorm to radiate love out unto the crowd, laying the invitation for each individual to let go and be free to express themselves fully. Aiming to awaken our collective creative spirit, Faeryn seeks to empower her crowd to connect to each other, the music and the moment. Faeryn is a fully insured professional movement artist who has been featured on the stages of festivals big and small to the sheer delight of the crowd and her fans. Faeryn has performed along side some of the biggest names in the business, including CloZee, Desert Dwellers, Bird of Prey, Plantrae, Ott and Tipper and is a featured member in several LA based performance troupes such as Bijoulette, The Narrators, Iridescence ~ A Mermaid Tribe, and SpinFX Entertaiment.